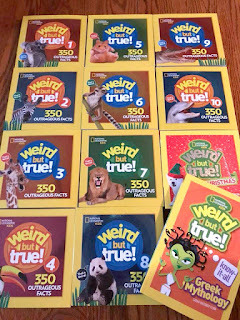 A RUP LIFE: National Geographic Kids Weird But True! Mega Prize Pack Review and Giveaway!! Have you ever watched the show Jeopardy? I often wonder how people know so many of those facts about so many topics. 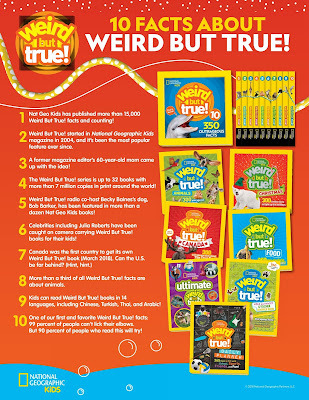 Over the years my kids have learned a bunch of fun facts and now answer many of the questions. I can't help but think this book series will help that ability blossom further! One of the coolest books in this collection is the activity book. It contains 150 stickers, facts and activities. This is perfect for car rides this holiday season or even a trip to a relatives to bring along and keep busy. 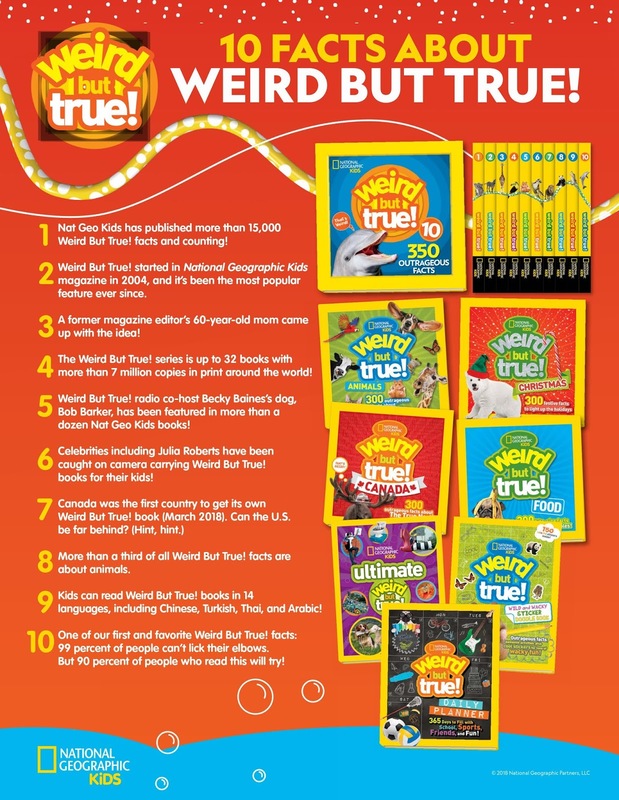 I love books like this and this one is particularly fun with the addition of the learning additional weird facts! 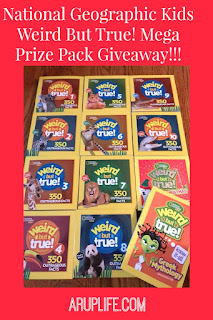 One lucky reader will win a National Geographic Kids Weird But True! 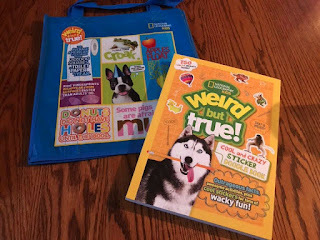 Mega Prize Pack which consists of a total of THIRTEEN books and a tote bag (ARV $130): Weird But True! 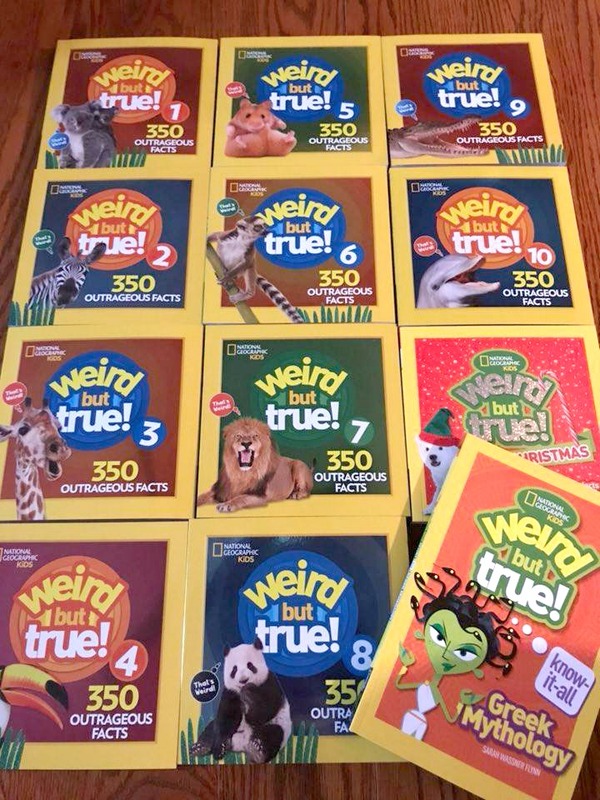 books 1-10; Weird But True! Know-It-All Greek Mythology; Weird But True! Cool and Crazy Sticker Doodle Book; Weird But True! Christmas and a handy Weird But True! bag.